Steve joined Bison in 2013 and has a Bachelor of Science degree in Meteorology from the University of Utah. He has over 35 years of professional experience in air quality and meteorology consulting, with an emphasis on data analysis and quality assurance. Prior to joining Bison Steve was an independent consultant. He also spent four years as the quality assurance officer for a commercial analytical laboratory. 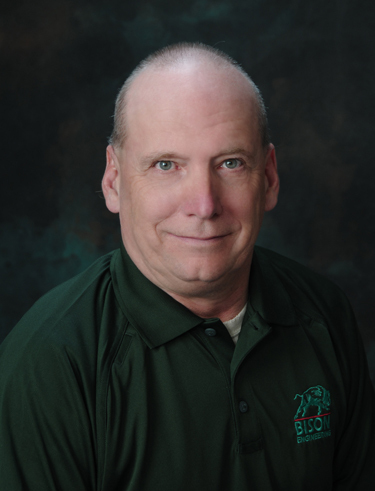 As a Meteorologist / Air Quality Scientist at Bison, Steve leads several ambient air quality and meteorological monitoring projects, including real-time particulate/weather monitoring networks at two EPA-designated Superfund sites. Steve’s responsibilities include data analysis, review and reporting, and resolving operational problems with ambient monitoring systems. He performs instrument calibrations, conducts quality assurance audits, and ensures that data meet applicable requirements prior to reporting to clients and regulatory agencies. Steve is familiar with the operation and maintenance of a wide variety of ambient monitoring equipment including continuous gas analyzers, meteorological systems, real-time and filter-based particulate monitors and Campbell Scientific datalogging systems. He also is the primary reviewer for Bison’s quarterly ambient monitoring and stack emission reports that are submitted to the Montana DEQ. Steve has prepared numerous Quality Assurance Project Plans and Standard Operating Procedures and is familiar with state and EPA data quality requirements. He also provided key support to the Billings area industries’ successful effort to re-designate EPA’s proposed Yellowstone County SO2 nonattainment area to attainment status. Steve has nearly 30 years of involvement with the Northern Cheyenne PSD ambient monitoring network near Lame Deer, Montana. Steve is certified in the following: 40 Hr. Hazardous Waste Operations and Emergency Response and Mine Safety and Health Administration (MSHA) trained. In his spare time Steve enjoys hiking and snowshoeing up mountains, in addition to mountain biking and skiing.